We can control the medium. We can control the context of presentation. Is there anybody on the receiving end? Reaching out for some kind of connection. 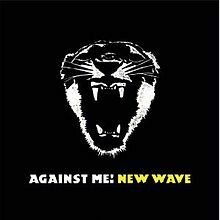 I am looking for the crest of a new wave. We can be the bands we want to hear. We can define our own generation. Are you ready to brave new directions. Let breathe new dawn this art is dead! No signs of original thought in the mainstream. We can eclipse all that came before us.